Birthday's always should be celebrated. It doesn't have to be a huge party or even a party at all, but everyone's birth should be recognized and celebrated. Today is my husband's 32nd birthday and I writing this post to not only share the amazing cupcakes I made him, but to wish him a very Happy Birthday from my very public corner of the internet! When it was my birthday growing up I always got to choose what we'd have for dinner. As did my sisters on their birthday's. I have carried that on now with my little family. Mr Knightley asked for lasagna as his birthday dinner. He calls it Lisagna after me because he thinks it's pretty amazing and original. (It's not it's from and Annabel Karmel cookbook originally, but I have adapted it to suit our tastes over the years. Of course a birthday isn't a birthday with out cake! The flavor/theme is also chosen by the birthday boy/girl. His choice was once again a chocolate sponge with vanilla frosting. It's what he wanted last year too. Although last year I did a layer cake and this year I made cupcakes as they are easier to get rid of share. 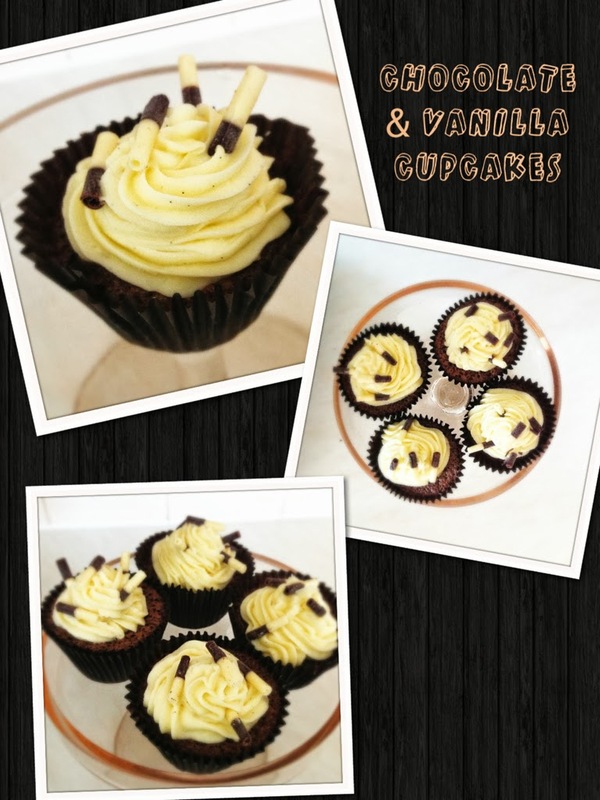 The recipe for these cupcakes come from my newly acquired cupcake book by Peggy Porschen. They are her famous Chocolate Heaven cake with a delicious vanilla frosting! What is your favorite cake/frosting combination? I ordered the book and can't wait for it to get here!